1. In modern war…you will die like a dog for no good reason. 2. Man is not made for defeat. 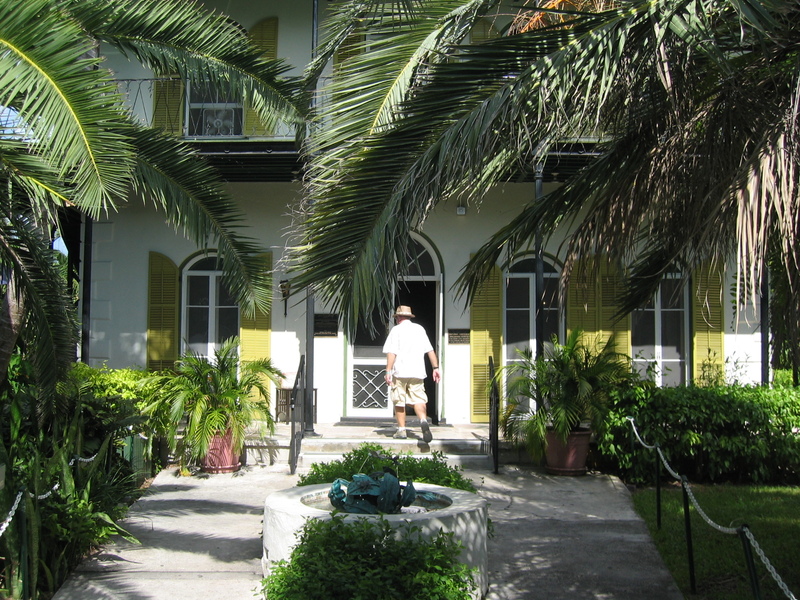 I regret not going into Hemingway’s house when I was in Key West. Instead I stood out on the sidewalk, by the pretty brick wall, a gazing idiot in her little sundress and flipflops. I felt shy, as if he was alive and in the house, disgusted by me ogling the arching windows and shade scattering palms. I was in shock that he had lived in the cheerful tropics. The manly man, safari man, war hero prolific in a precious city infested with twinkle lights and laughter? 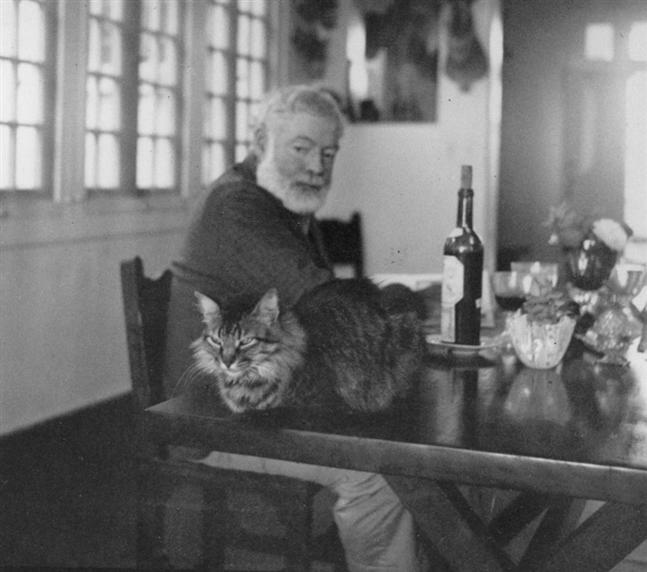 I had a drink in Captain Tony’s/Sloppy Joe’s (not a Teacher’s and soda or a Papa Dobles, another regret)–of course I did–searching, as any Hemingway fanatic will when visiting ‘his’ town. I brooded over my Amstel Light, irked by the happy people everywhere I looked. Why the hell didn’t I go in the house? I thought, wanting things. I vowed to return to 907 Whitehead Street, even though snooping through the homes of famous dead people I admire gives me not answers, not insight into idols and legends, but the creeps. This entry was posted in Fiction, Quotes, Writer quotes, Writer's Angst, Writing, WTF and tagged 2012, beach, Captain Tony's, cats, Ernest Hemingway, Key West, Papa Dobles, scotch and soda, Sloppy Joe's, writing. Bookmark the permalink. “Got tight last night on Absinthe and did knife tricks” has to be one of the best lines ever! I am stealing it. I like the visual of you laughing under water – happy bubbles. When I was in Key West, I didn’t know who Hemingway was. If I had, I wonder if I would have wandered into his house. It does seem a bit creepy. The Super Bowl is this weekend? Ha! Yes, this weekend. I only know because my husband is going to watch it and requested my homemade nachos. And then I found out Madonna is performing at half-time. That I shall not miss. The next time I visit Key West I will be sure to go on in that house. I guess they perform weddings there now. Isn’t that going a little too far?